Cord blood is the baby’s blood left after birth in the umbilical cord and placenta. It contains unique cells called hematopoietic stem cells which can be used to treat certain disease types. Most cells can only make their own copies. A skin cell, for instance, can only make another skin cell. However, hematopoietic stem cells may mature in the body into various types of blood cells. Hematopoietic stem cells are also found in adults and kids in the blood and bone marrow. Hematopoietic stem cells can be used to treat more than 80 life-threatening diseases, including immune system diseases, genetic disorders, neurological disorders, and certain forms of cancer, that includes lymphoma and leukemia. Stem cells are the primary therapy for some of these diseases. For others, stem cell treatment may be used if other treatments have not worked or in programs of experimental research. 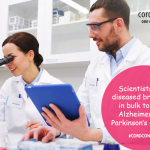 Cord blood stem cells may be given to more people than bone marrow cells. 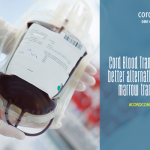 When a cord blood transplant is used, more matches are possible than when a bone marrow transplant is used. Furthermore, cord blood stem cells are less likely to induce dismissal than bone marrow cells. Collecting bone marrow is more difficult than collecting cord blood. Bone marrow collection presents some risks and may be painful to the donor. It is possible to froze and store cord blood. It’s ready for whoever needs it. Shortly after it is collected, bone marrow must be used. During treatments for cancer, stem cells in cord blood can be used to strengthen the immune system. The stem cells of the bone marrow do not have this capability. You must notify the bank and obtain a collection kit in advance (usually 6 weeks or more) of your due date. Some hospitals contain collection kits, while others are not. The medical history of family must be provided and the blood of the mother must be tested. Consent before the commencement of labor pain must be given to the hospital. You have to sign a contract and pay the fee before the baby is born if you choose a private bank. Sometimes it is not possible to collect enough cord blood. This problem may occur if the baby is premature or if the umbilical cord clamping is decided to delay. It can also happen without any apparent reason. In case of an emergency care must be given to the mother and the baby rather than collecting blood from the newborn for cord blood banking. The reason behind is the motto of the doctors is first to take care about the health of the mother and the baby and reduce the risk of their life.